An unknown Samsung smartwatch with the model number SM-R382, recently visited the FCC. Smaller than the manufacturer's current line up of Tizen powered Galaxy Gear and Gear watches, there is speculation that this smartwatch could feature Android Wear. The latter is a version of Android made specifically for wearable devices. 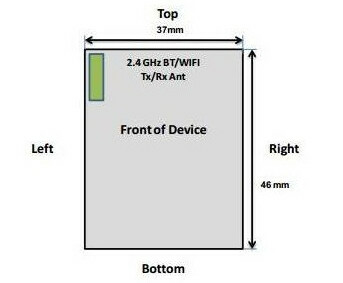 The watch that visited the FCC is about 10mm shorter than the Gear smartwatches and features Wi-Fi and Bluetooth connectivity. With the LG G Watch and the Motorola Moto 360 each expected to make an appearance at Google I/O, we have heard reports about a mysterious third smartwatch that could end up at Google's annual developer conference, loaded with Android Wear. Perhaps it will be the SM-R382 that joins the other two at San Francisco's Moscone Center on June 25th and 26th. 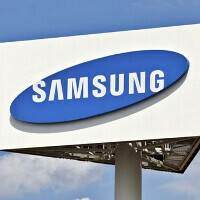 A report back in April suggested that a Samsung smartwatch powered by Android Wear, would be launched this year. While Samsung's original Galaxy Gear smartwatch was originally launched with Android, and became a Tizen device via an update, the manufacturer might be looking to take advantage of the much larger numbers of developers writing apps for Android devices. Not surprising for Samsung to crush in on LG and Motorola smart watch parties. In think it makes sense for Samsung to join the Android wear, because now their Android wearable watches will support more devices, and not just Samsung devices only, like the current gear watches. Maybe they will give current gear watch owners the ability to upgrade to Android wear in the future? Who knows. It would be nice if they did that. Agreed, Android Wear seems promising, I'm sure Google will make the platform more mature and functional, whereas sammy will make that watch software more like touchwiz.